We are fortunate to be able to call upon voices within the industry. In this article, we are pleased to introduce Dr. Langer, an authority on premium, luxury and beauty brands and regular speaker on strategic branding. Perhaps counter-intuitive at first glance, strategies for luxury brands can particularly benefit fast-moving consumer goods and premium brands, too and even value brands. This article looks at the key challenges and what luxury companies can do to overcome these. In fact, many of Dr. Langer’s most successful innovations and brands in the value and premium beauty sector were developed with insights from luxury in mind. Luxury products can be seen as the most desired (and therefore highest valued and highest priced) items within a segment. The understanding of what makes these items exceptionally valuable can help brands with a more accessible price positioning to increase their relevance, become more desired and more unique. This enables companies to capitalize on the higher brand value with premiumization strategies to increase competitiveness, revenue and profitability. About a decade ago, most luxury managers I spoke with were not only ignoring digital channels, they fundamentally believed that luxury and e-commerce would never (!) go together. They pointed out that the experience of going into a luxury-brand store was critical and couldn’t be replaced. How different reality is today. Many newer luxury brands don’t even have store fronts any more but focus instead on selling through the internet. Augmented reality will boost this trend even more. Consumers have become more sophisticated and knowledgeable and now expect more. Ethical shopping is no longer a buzzword that is high only on the agenda of Millennials—many others are looking for authenticity when they spend enormous amounts of money on luxury brands. Lifestyles change. Wellness has become the new luxury for many, with more and more people becoming concerned about their health and wellbeing. And this is not only a new segment. Wellness influences almost anything: changed behaviours, with more rigorous exercise schedules for many, changed expectations regarding the comfort and design of car interiors, different views on what a hotel or spa experience should be, and increased demand for healthier options on restaurant menus, to name just a few. 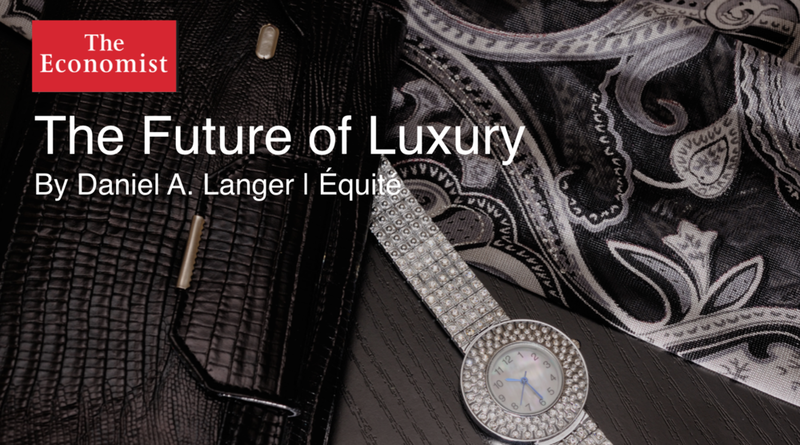 In this already dramatically changing context for luxury brands there is further disruption from several trends that will play a major role for luxury managers over the next few years. If left unaddressed, these trends will not only challenge the success of incumbent brands but endanger their very survival. Many previously iconic luxury brands are already suffering and are in steep decline because they did not change early enough and not radically enough. The time for complacency is over. Luxury managers need to leave their comfort zone and make their brands future-ready. This includes strict brand-equity thinking by defining and sharpening brand positioning. It entails optimising the customer journey, and it requires something that has been lost for many luxury brands: offering a truly authentic experience. An experience that is so memorable and unique that consumers pay the enormous premiums that luxury brands can charge. Managing luxury is not only more difficult than ever, it is actually one of the most difficult managerial tasks. This is deeply embedded in the nature of luxury. Langer (2008) and Langer & Heil (2013) define luxury as “something rare and hedonic, difficult to acquire or use, that provides a perceived unique experience in combination with a perceived enhancement or reinforcement of the social position. It is an emotional social marker and differentiator”. This definition underlines the difficulty connected with luxury in four dimensions (see above): being rare and hedonic by nature, luxuries are difficult to create. They are difficult to consume because of the difficulty in acquiring (price, availability, scarcity, waiting times etc) and using them properly (a sports car is dif cult to drive, really appreciating a rare wine needs expertise, not everyone can wear an haute couture dress, a bag made of sophisticated leather may be very receptive to scratches and stains and may not be practical in day-to-day usage, etc). Providing a unique experience is difficult to repeat by nature. Finally, being in an enhanced social position and a social marker and differentiator is difficult to maintain: perceptions change over time and new brands, tastes and expectations evolve. While managing luxury is difficult, very few tools exist to guide managers in a proper way. I developed some of those tools (luxury index and non-linear pricing, category potential and segmentation, brand equity and positioning tool for luxury brands, luxury customer journey tool, brand acceleration tool for luxury brands) when I discovered that luxury managers are basically left alone with mass-marketing methods. Tools and strategies that are common for mass brands are not only inappropriate for luxury brands, they can ultimately lead to the destruction of luxury brands. Luxury managers tell me all the time how much they regretted growing their brands too fast with too cheap line extensions. Once the perception of a luxury brand is weakened, it is difficult to come back. Several trends are disrupting luxury, and mastering them will be critical for luxury companies if they want to survive. I believe that they are so powerful that they will create tectonic shifts that will impact the luxury industry at large. The driving forces are digitalisation and the personalisation of technology, which give consumers real-time access to brands and change expectations along different dimensions. Technology also offers newcomers the opportunity to change industries fast. The focus of many luxury brands today is on the long term, with little to no innovation and many reinterpretations of a luxury brand’s category or heritage. This business model is no longer sustainable. Agility and reinvention are needed, because consumers seek ultimately the immaterial versus the material. They look for experiences and for offers that fit their life now. It’s a paradigm shift in luxury. The challenge is to create a lasting brand experience, but to combine it with carefully identified elements that can be refreshed and updated regularly. In the luxury space this is crucial. Because luxury is about creating a unique experience, ideally perceived as “once in a lifetime”—the realisation of a dream. Hence, managing the dream is crucial: creating it and recreating it, providing a consistent brand experience and adding unexpected elements. Elements that positively surprise and cater to the customer’s need of “short-term” and context-sensitive surprises and experiences as part of a long-term brand strategy. Everyone in the luxury industry is talking about the importance of sustainability. But let’s face it, ethical shopping is complicated. I recently presented this aspect in a keynote speech at the Luxury Fashion Management Conference in Milan and in a book chapter about sustainable luxury. I call it the “sustainability paradox of luxury”. From a consumer perspective, it’s extremely hard to make truly sustainable choices and have the transparency that the product is really crafted with the highest standards. And for companies it’s hard to fulfill their promises and provide more than just lip service. Truly sustainable solutions provide a chance to disrupt markets and price for it. In many categories I see a truth gap. There is barely any offer that puts sustainability into the focus, actively communicates around it with a truly eco-centric business model that is priced for. The opportunities are tremendous—the key is to identify strategies that lead to competitive advantage. Sustainability can no longer be an afterthought, and pure “lip service” does not work with today’s consumers. A relevant and compelling “sustainability story” is needed. Hacking business models has become the buzzword in the start-up scene. Hacking luxury is both— opportunity and risk—for luxury players. What does “hacking luxury” mean? It’s about understanding what a product really is and providing a new and different, more convenient and exciting approach. To give an example: a self-driving car is not a car. If companies apply the same thinking, they miss out on the opportunity to “hack”. Instead, if you see a self-driving car as a different product, you suddenly have the opportunity to disrupt and create a new market: instead of being only an additional feature, a self-driving car can be seen as something completely different—an automated chauffeur service, available at any time. This provides tremendous new revenue and service opportunities. New opportunities for pricing. Almost no luxury car company has embraced this viewpoint so far. Reacting to this shift is crucial as their traditional business model is hacked and may soon be made obsolete by start-ups out of California or China. The luxury industry has a tremendous opportunity to “hack”, as consumers are willing to pay for unique experiences. But today many brands are too myopic. They focus on what they believe their traditional business model is and don’t see the opportunity to create a differentiated, “hacked” approach. Why does a hotel need to think like a hotel in terms of providing a room, a restaurant, a spa and a fitness centre etc? All those amenities are expected by now and offer little to no opportunity to be special and price up. The true question is: how can the hotel experience be hacked? What do consumers really look for when they visit a hotel? How can we create something memorable and different? It is a tremendous opportunity to disrupt. But also to be disrupted and become irrelevant fast. And becoming irrelevant means to be out of business fast or not being able to sustain luxury pricing. Because incumbents are rarely those who reinvent a business, luxury is disrupted by newcomers. Airbnb clearly made a dent into the hotel business, especially in luxury hospitality. For many, it has become an alternative to booking a hotel room—not because of the price but because of the experience it provides. There is something to be said about having an apartment in New York, San Francisco or Paris versus staying “only” in a hotel. The “own apartment” experience may not have all the amenities of a hotel, but for some travellers it can be an experience and a memory they can’t have by any other means. To live like a local; to go to a grocery shop and buy like a local; to ask the host where she takes a yoga class and try that studio “as a friend of a member”; or to dine in the restaurants the host would go to. And there is a different level of privacy between renting a luxury house and staying at a hotel. Luxury brands have an extraordinary growth potential if they disrupt their own business model and come up with services that create unexpected experiences for their guests. The opportunities are almost limitless. And if the incumbents don’t reinvent their business models, outsiders will do so instead. Luxury is different for everybody. But ultimately it is about a unique and memorable experience. A life experience. An emotion. The realisation of a dream. In a quantitative luxury study I could show that luxury signals to the owner of a luxury item—and also to others around him or her—significantly enhanced opportunities of life: the ability to break out of the daily routine; opening yourself up; gaining access to beautiful things, to art, to culture. The perception of adventure. Creating a memory. Even enhanced attractiveness and self-esteem. To tap into this, luxury companies need to shift their focus from volume thinking to thinking in terms of share of engagement and attention. And the great news for many luxury brands is that they are already today in the business of engagement of attention. But only few brands get everything right. Customer journey thinking is crucial. And although many things that create tremendous value don’t even cost much, they can make a dramatic difference and allow for higher-priced services. But it requires innovative thinking, agility and processes in implementing engagement and attention throughout the organisation. In speaking with luxury managers, I get regular feedback that disruption causes major headaches across all luxury categories. While trends threaten established companies, they also allow for opportunities to disrupt and grow for those luxury brands that embrace and master the challenge. To lead the change starts with the understanding that a change process is difficult and needs the full commitment and dedication of the management team. When we conduct brand audit workshops, we typically interview the leadership teams beforehand. And most of the time we discover that different leaders of the same organisation see different challenges, different solutions and different approaches. And we often find a disconnect between how the C-level talk about their brand and how sales people, store managers or brand ambassadors talk about the same brand. This is the worst that can happen, and we find that this is the rule rather than the exception. Helping to channel those different viewpoints towards one thinking and one approach is crucial in leading the change. Managing luxury is difficult. Luxury itself is elusive by nature. Managers face a context that changes faster than ever before and requires precise strategies and a comprehensive game plan. It’s important to move organisations out of their comfort zone and challenge the status quo. Because the status quo no longer exists. Those who pursue past strategies will not survive. And those who think differently and implement strategy and change throughout the organisation have the opportunity not only to lead the change but also to be the driver of the future of luxury. 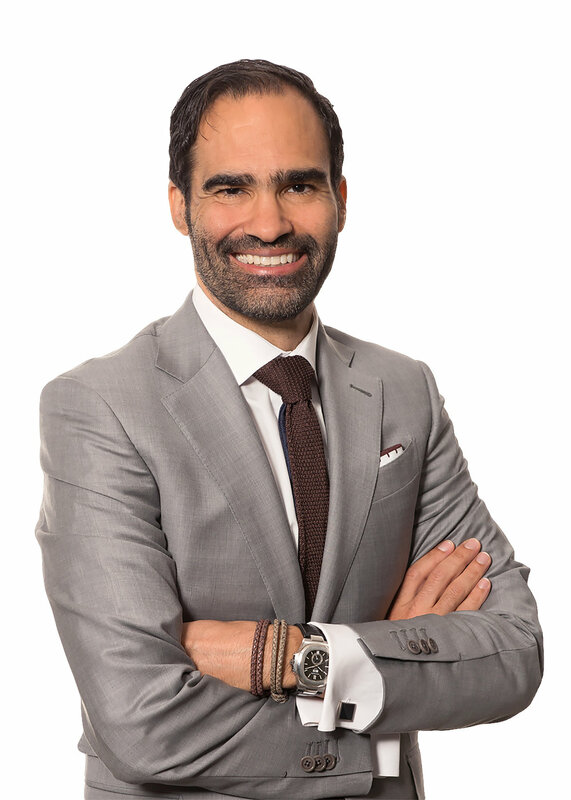 Dr. Daniel Langer is founder and CEO of Équité, a leading global branding and brand strategy firm that elevates brands to increase their revenue, profitability and brand valuation. Daniel is an authority on premium, luxury and beauty brands and serves clients in many sectors, also including fashion, luxury, accessories, hospitality and services (B2B, B2C). He holds a PhD in luxury marketing, is author of several top-rated books on luxury management in English and Chinese. He held top management positions in the beauty industry in USA, Japan and Europe, where he developed several triple digit million dollar brand from scratch and managed billon dollar businesses. He lives in USA, works all around the world, speaks seven languages and enjoys yoga. For more information visit equiteconsulting.com. Équité partners with EIU Consumer on strategic branding projects. The Economist Intelligence Unit’s consumer practice – EIU Consumer – provides industry award winning, data-driven business analytics and strategy solutions, working with senior management of the world’s most dynamic consumer-facing companies. From macro to micro we connect our forward- looking view of the world to what it means for your business today and tomorrow by category, product or channel. Part of The Economist Group, we share the principles of independence and intellectual rigour leveraging our unique network of 900+ analysts and contributors globally, to provide you with independent evidence-based insights through applied intelligence. © 2017 The Economist Intelligence Unit Limited. All rights reserved. Neither this publication nor any part of it may be reproduced, stored in a retrieval system, or transmitted in any form or by any means, electronic, mechanical, photocopying, recording or otherwise, without the prior permission of The Economist Intelligence Unit Limited. While every effort has been taken to verify the accuracy of this information, The Economist Intelligence Unit Ltd. cannot accept any responsibility or liability for reliance by any person on this report or any of the information, opinions or conclusions set out in this report.